We PITTI the fool who missed the printed pants memo in Florence. Sandwiched between London Collection: Mens and Men&apos;s Milan Fashion Week is Pitti Uomo, the bi-annual trade show in Florence, Italy, where editors, retailers and exhibitors gather in droves for face-to-face time with brands and buyers. But it&apos;s those dapperly dressed gents outside the shows that always seem to capture our attention more than anything. 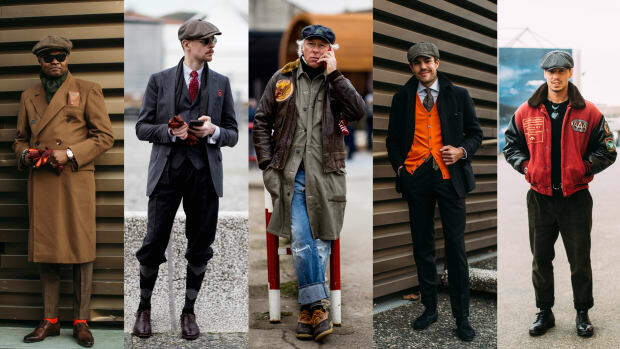 So pay attention, guys: If the trends at Pitti Uomo are any indication of what&apos;s soon to find popularity IRL, get ready to stock up on blue suits, patterned trousers and some mustache wax. Oh -- and ditch the socks: Bare ankles are che figata right now. 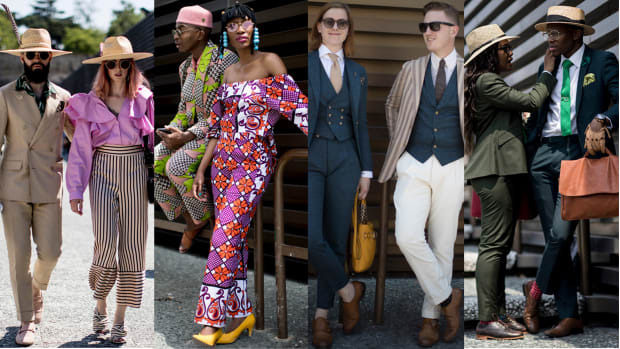 Click through the gallery below to see our favorite looks from Pitti Uomo. The ultimate Pitti peacocks arrived in Florence in pairs.